KCGM officially launched the Newmont Reconciliation Action Plan (RAP) at an event earlier this month, in recognition of the company’s commitment to Aboriginal and Torres Strait Islander (ATSI) people. 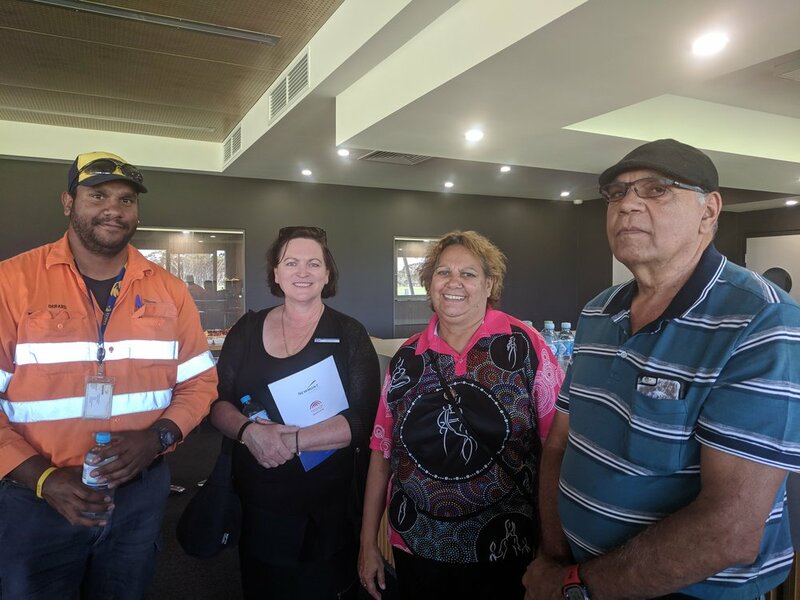 External stakeholders and staff received a ‘Welcome to Country’ before hearing from KCGM’s General Manager Cecile Thaxter and Aboriginal Liaison Advisor William Hansen on why the RAP was developed and how community groups can help the company achieve its commitment to reconciliation. Developed collaboratively by staff from across the Newmont Australia region and an indigenous consulting group, the RAP provides KCGM with a framework to develop and strengthen relationships, engage staff and stakeholders in reconciliation and develop innovative strategies to empower ATSI people. So far this year KCGM has continued to build strong relationships with community organisations through supporting Reconciliation and NAIDOC weeks, implemented an Acknowledgement and Welcome to Country procedure for key meetings and events, changed onsite meeting room names to reflect local aboriginal languages of the Goldfields region, attended a number of ATSI employment networking events and investigated opportunities to improve supplier diversity within the organisation. This year 38% of KCGM’s first year apprentices were of ATSI descent. Currently, 4.3% of employees at KCGM identify as Aboriginal or Torres Strait Islander. KCGM’s General Manager, Cecile Thaxter said although the company has met a number of RAP commitments this year, there is still plenty of work to do before being classified as ‘leaders’ in reconciliation.